I feel like I’m in graduate school again, except instead of writing research on the American Wind Band, I’m writing about toilets. I was initially going to do a post about how the whole second and third floors are going to be configured, including their layouts, but after starting that, it was going to be a post that you would still be reading in March. So, I’m going to divide and conquer. What WAS going to be one post, is now going to be 4 (at least). I am a lunatic. 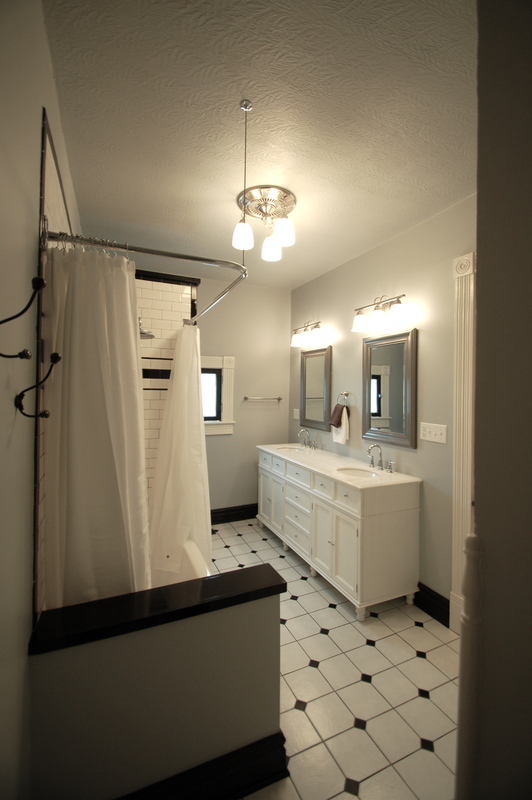 But Bathrooms are my favorite thing to design, and we’re FINALLY within demo-distance of starting one in this house. I am beyond giddy. I’m REALLY type A. When I go to plan a room, I make a list of EVERY possible activity that’s going to happen inside of that room, and every possible object to be used. And I make sure that every single thing has a home. It was really important to me that this happen for the kitchen remodel, and when that went SO smoothly, I figured it was good practice, even for bedrooms or spaces that don’t have drawers and cabinets of stuff. I make a list of everything in the room, and if it doesn’t have a place to live, I have to create that place, or get rid of it! I want everything to be useful, to have a purpose, and to be beautiful – and I firmly believe that you can have function and aesthetics happily married together. But only if you plan for it! 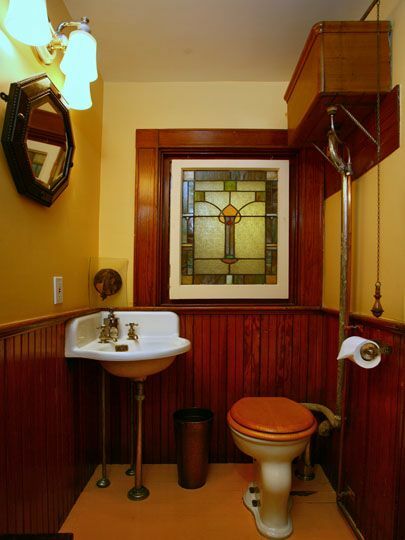 Ross has a beautiful post about period-correct bathrooms, and how they are so hard to do. You should read it! 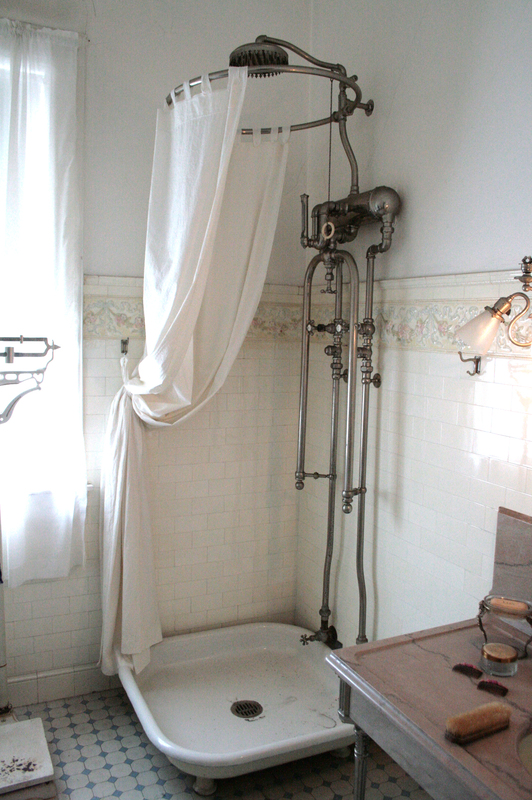 Most likely, our house would have had indoor plumbing when it was built. 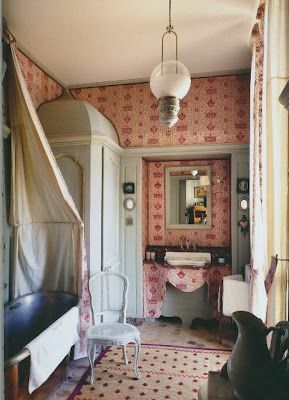 There IS a large lilac bush in the back of the house, which can be an indicator of where an outhouse may have stood (often planted to help mask the smell), but we’re pretty sure the house was grand enough when it was built for indoor plumbing. I’m also going to do my best to cite and share all the resources that I’ve found, because that’s how I’m learning, and I know it will be helpful to many of you to be able to dig in if you’re at the same stages we are in! They will make me (and hopefully you) smile. They will feel like they belong to the house. They will have major elements of Victorian Style. They will have incredible lighting. And tile. And fixtures. Bottom Line : They won’t BE right. But they will FEEL right. 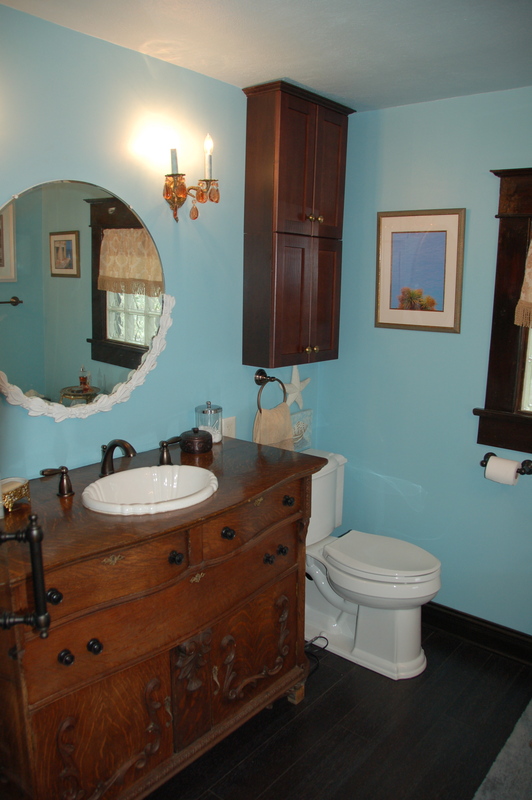 We’ve really done three bathrooms before – two on Jackson Street, and one at the Cottage. Both houses are about 25 years older than where we are now, but are decidedly more simple in their architecture. 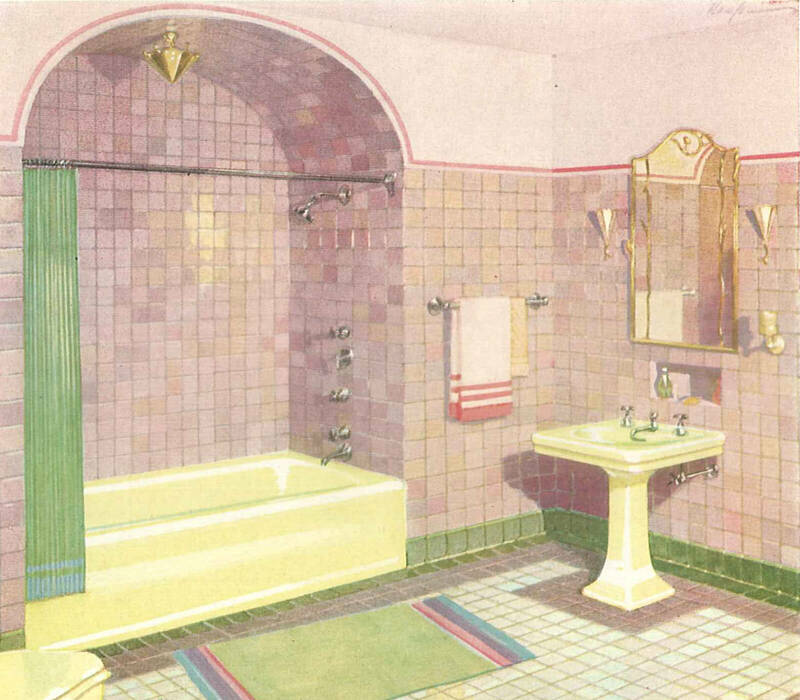 To be fair, when I did the baths at Jackson Street, I wasn’t NEARLY into architecture and preservation as I am now. 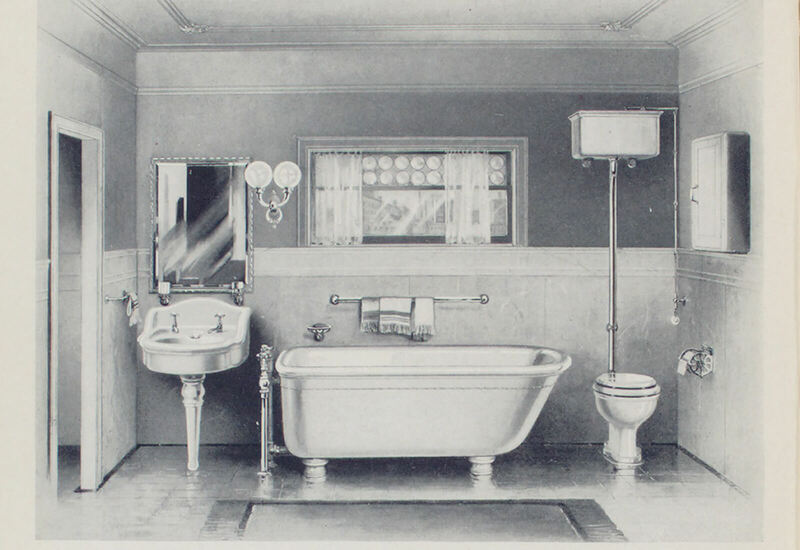 Pretty much, I just needed as many clawfoot tubs as I could get – which is a brilliant and stunning philosophy no matter the era of your house. Here’s a quick recap of what we’ve done to this point in other houses : the good, the learning curves, and the problems. 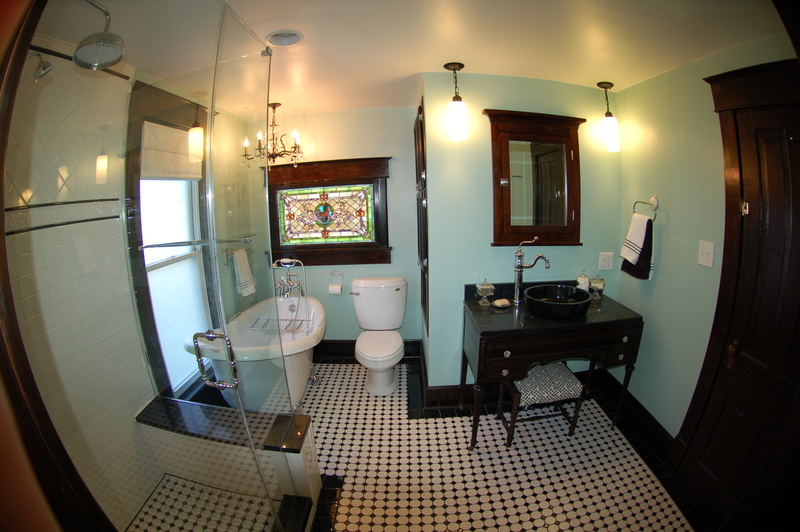 This bathroom ended up in “This Old House” magazine as the reader remodel project winner in 2010. So basically, it all goes downhill from here. 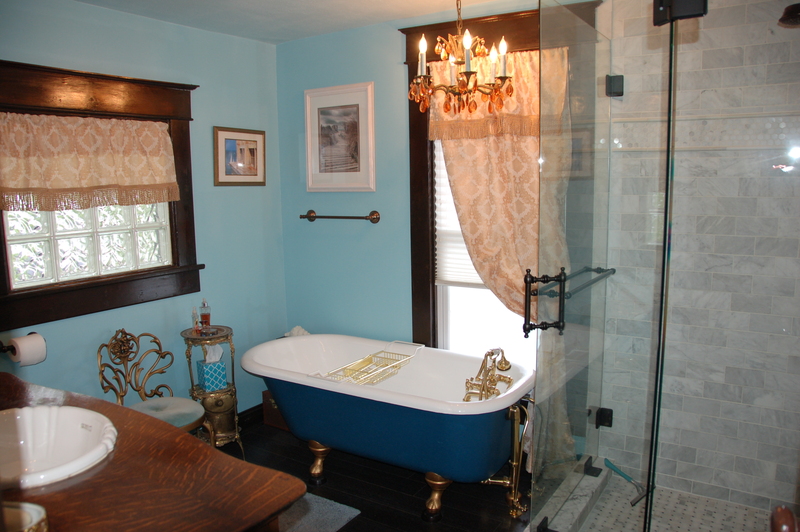 The separate tub and shower. As often as I can, I will do this. (I’m a bath girl). The desk / vanity turned sink. 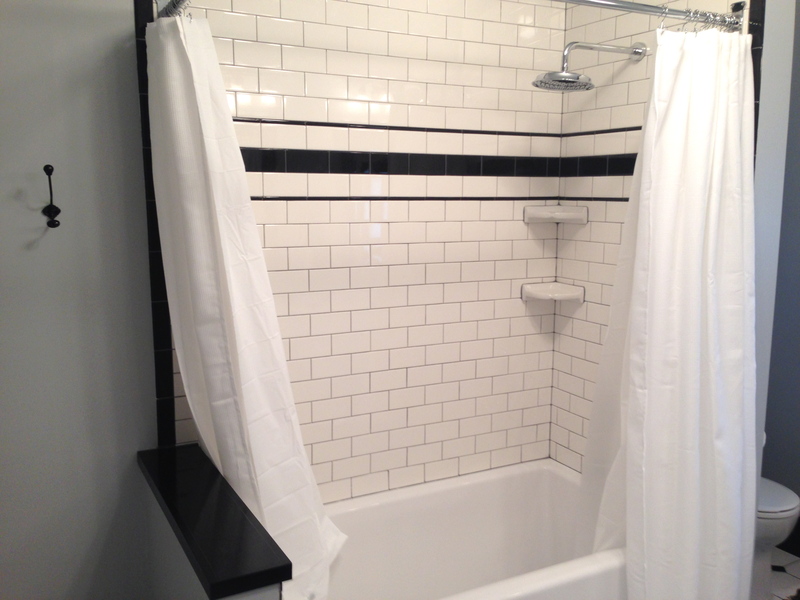 A black and white scheme (which, we did with the kitchen here, so I MIGHT not repeat it in one of the bathrooms). I learned that if Doug is set on something, and I sit in the space alone long enough, I can make it happen. I was convinced we’d have to lose one of the doors into the room, or a window, to make it work. He didn’t want to. He was stubborn, and I took it on as a challenge, and the floorplan ended up great! Taking the in-floor heating up to the shower bench. Making the shower bench a little deeper. Watching the glass people like a hawk (they made two decent mistakes in cuts – which they fixed – but it was frustrating since it was the only thing we hired out). 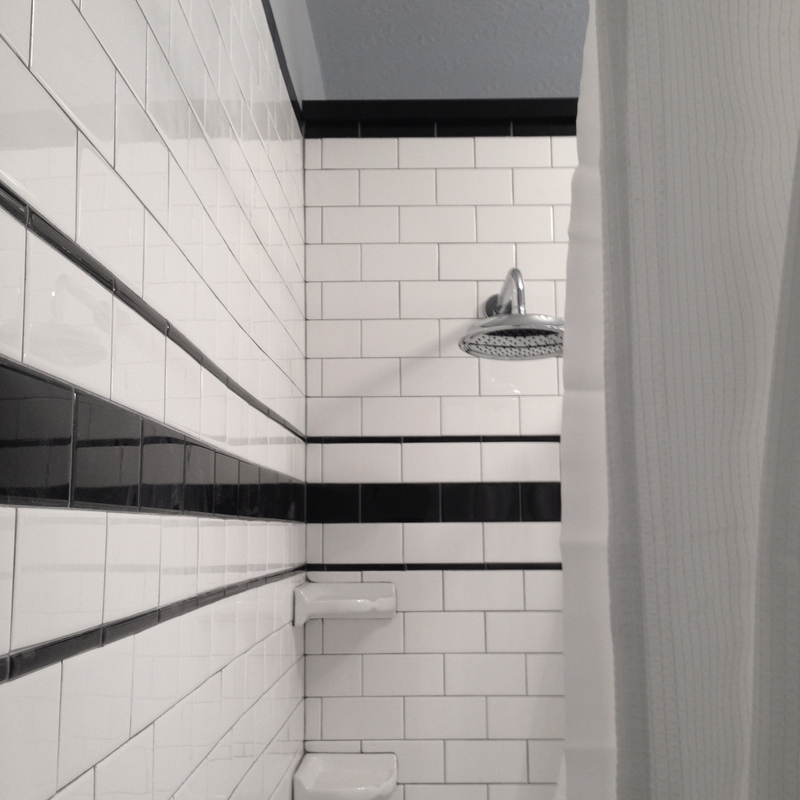 EVERYTHING ABOUT BLACK GROUT. Except how it looks when it’s done. The storage above the toilet. Mixing metal finishes (which I know some people hate, but I don’t – it feels more authentically old that way). 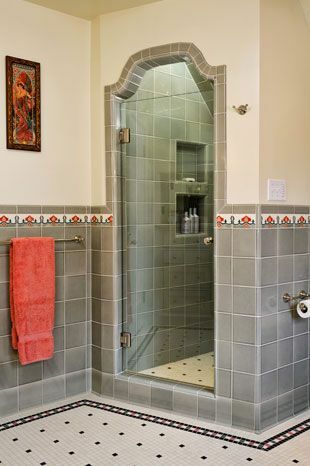 The GIANT storage cubby in the shower. Mixing several different tiles types (but in the same material). Marble is actually pretty fun to work with. You don’t need a tile floor and it can still work out okay. 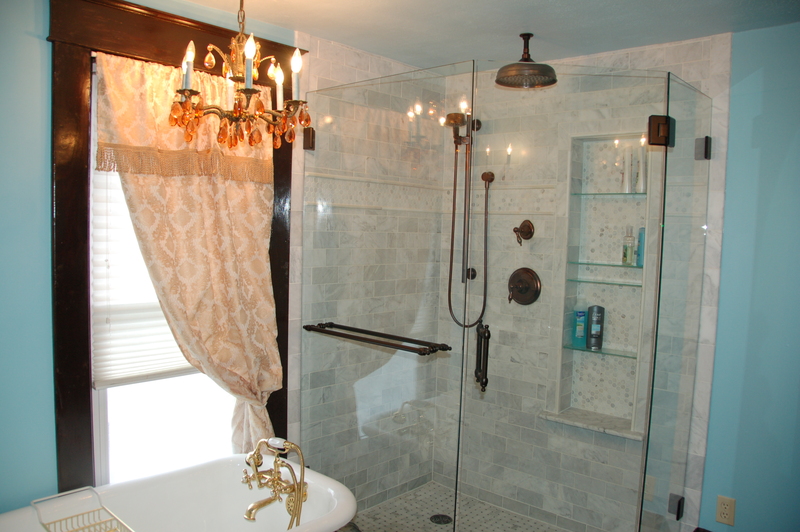 Don’t mess up when installing glass shelves in the shower niche. 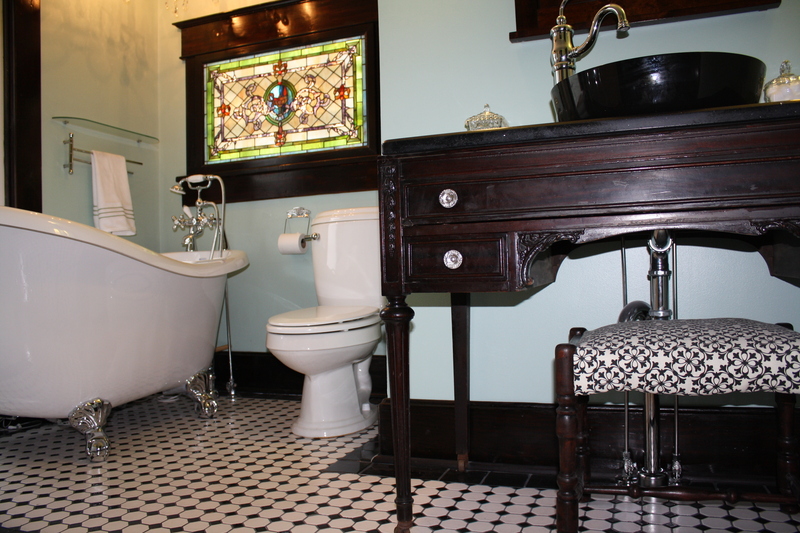 Having a cast iron tub reglazed by a professional is actually not that expensive, but it IS smelly. 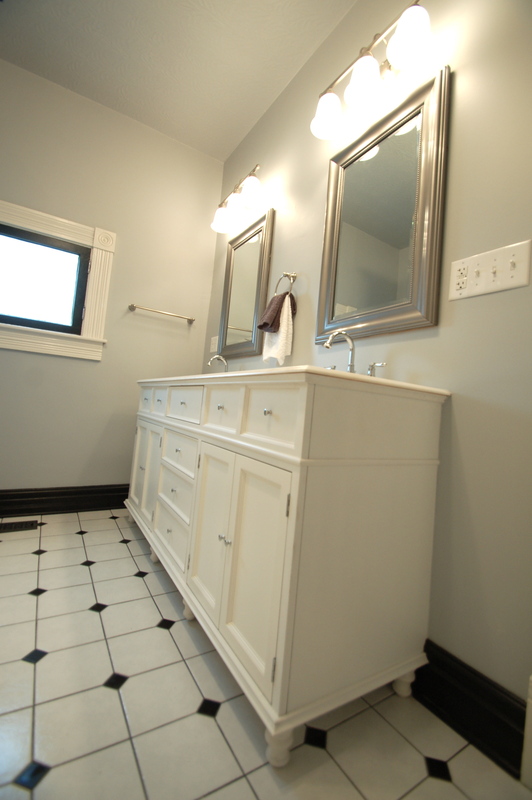 Buy materials on the cheap on Craigslist (the vanity and the floor tile). Raise the vanity on feet to make it look more like furniture. 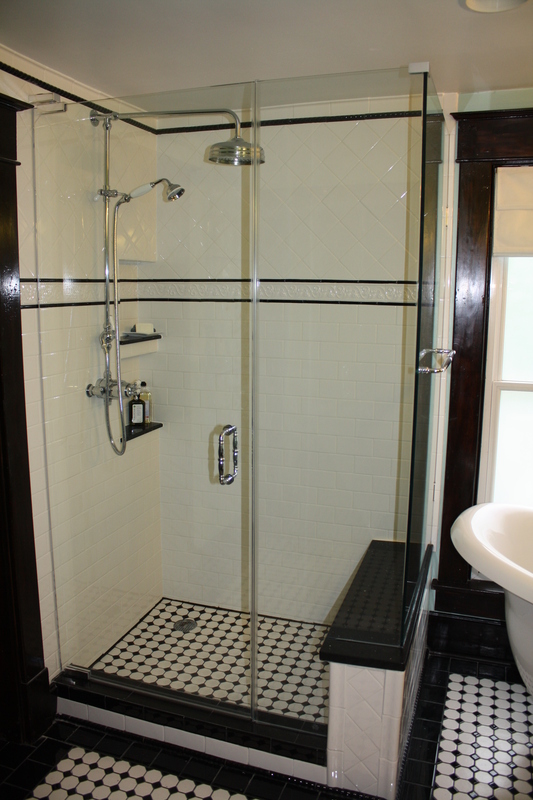 Black baseboards with white window and door trim (like a tuxedo). 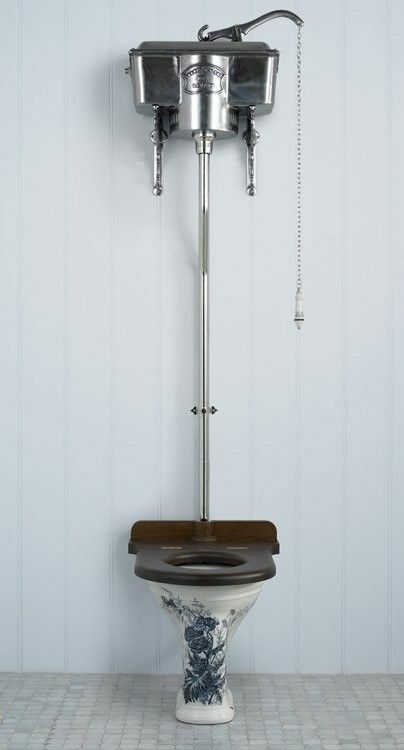 A bath exhaust fan that isn’t ugly. I am a rarity. 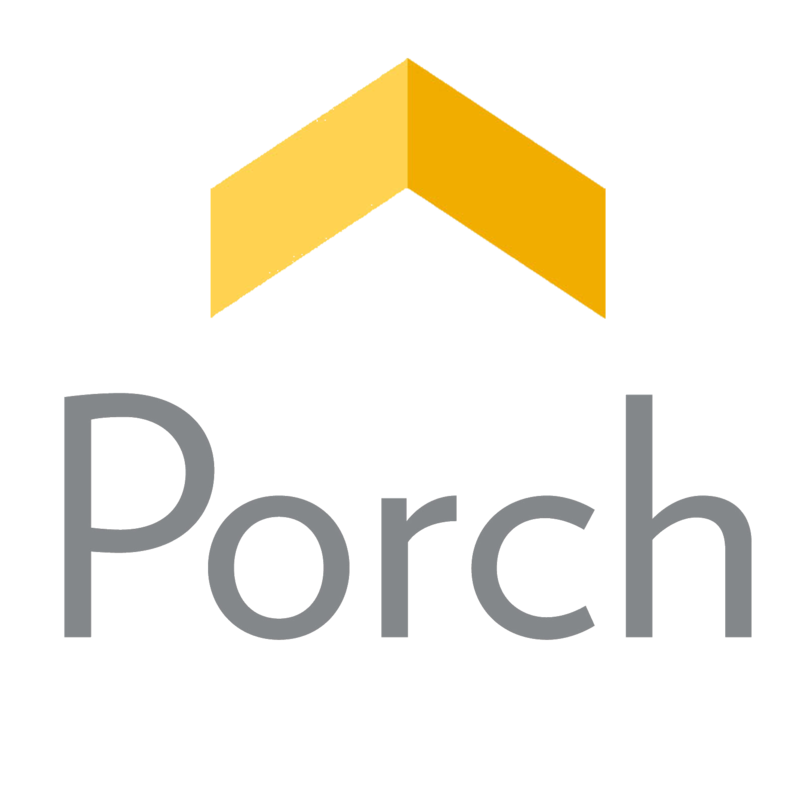 I posed a question on Facebook – knowing this was going to be a rental – because I had two floorplans made – one with a separate tub / shower and single sink, and the other with a combo tub shower and double sinks. I would totally have chose the former. Every other human on the planet chose the latter. Using marine varnish allows all kinds of new materials in the room safely! 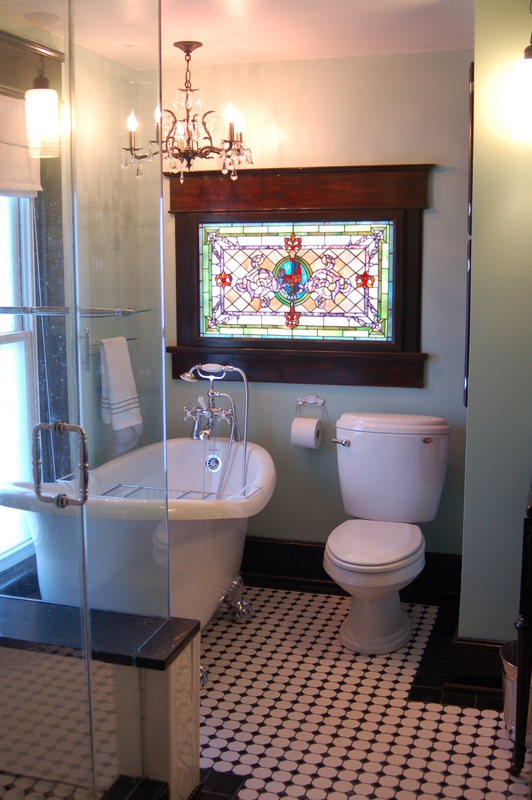 If you have to settle on modern lights and fixtures, there are great options out there to make it still fit in an old house. Stay classic and simple. Set a budget and watch for sales. 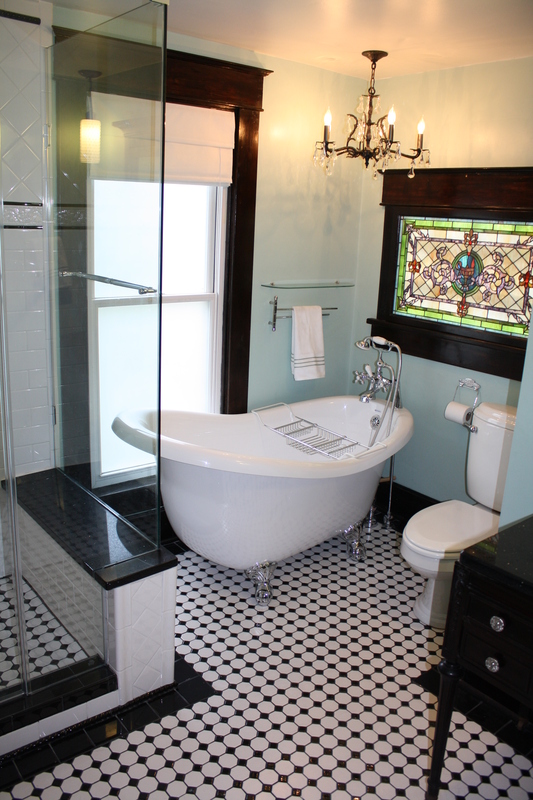 If the bath was for me, I would change the floor tile to something smaller. But it was INCREDIBLY cheap on Craigslist, so we went with it. It looks great, but it wasn’t my first choice. More storage in the shower for STUFF. We’ve learned a lot, which I think has prepped us for the bathroom work we have to do here, which is substantial. We’re both really excited about it!!! 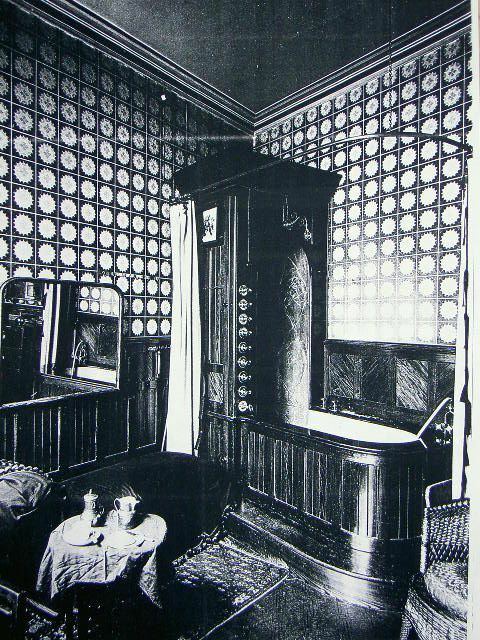 Next up, I will walk us through Victorian Bathrooms, and what they were like! But not for a few more days…. 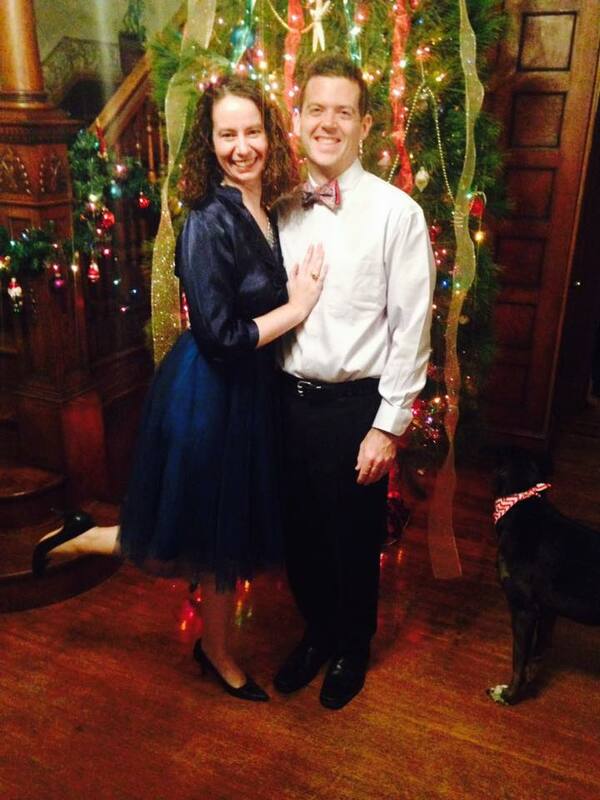 Everyone have a VERY MERRY CHRISTMAS and HAPPY HOLIDAYS!!!! Love this post! I am eagerly awaiting the next installments. Thanking you in advance for sharing your research with all of us. 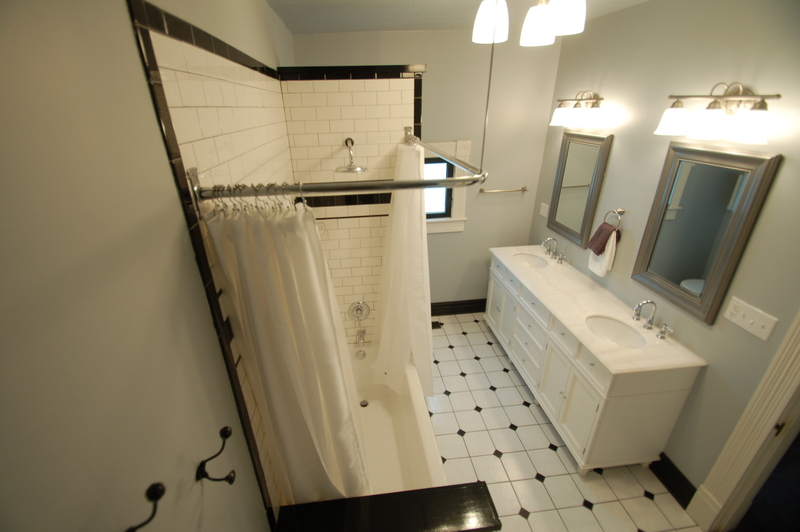 We have bathrooms to remodel also, and I am hoping we will be able to do them sooner rather than later. I hope it’s all helpful! You are the NICEST! This comment has made my day. Totally true! It’s the worst. But it really does look amazing when it’s done. Hi Amy! What a good article! 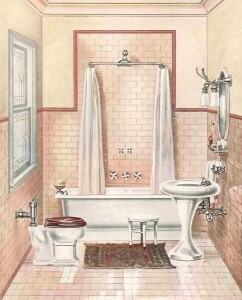 I just can’t wait to begin my bathroom’s renovation and to put your advices into practice. Your renovations are so beautiful, I hope I will be able to do it as well as you. Reblogged this on Common Horse Spiritual Sense.